Get a £20 discount when buying a 3000i Clipper + Spare Battery! 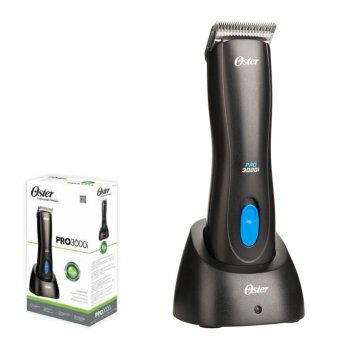 The new Oster cordless clipper is slim, lightweight and powerful with a clipping speed of 3000 strokes per minute. It is compatible with all Oster A5 detachable blades making it a versatile cordless clipper. The Lithion battery provides a long lasting sustainable cordless power. Single speed clipper at 3000 spm.